Other notable early promoters of pediatrics as a separate medical field include Dr. Luther Emmett Holt (1855-1924) of New York City, Dr. John Forsyth Meigs (1818-1882) of Philadelphia, and Dr. William McKim Marriott (1885-1936), who practiced medicine in St. Louis, Missouri. The writings of these men emphasized that children have a unique physiology and a distinctly different mental and physical development. The Hospital for Sick Children in London, England (now known as the Great Ormond Street Hospital for Children) was established on Valentine's Day in 1852. It was the first hospital devoted exclusively to the treatment of children. American children were treated in adult hospitals until 1855, when the first stand-alone hospital for children was established in Philadelphia. The Children's Hospital of Philadelphia, located on South 34th Street, remains in operation today. The American Academy of Pediatrics (AAP) was founded in 1930 by a group of 35 pediatricians to promote positive changes in caregiving to children. They encouraged fellow doctors to explore specialized treatments, rather than treating babies and children as “miniature adults,” according to the group’s website. The organization has more than 60,000 associates around the world and sponsors a group of 34,000 fellows, all board-certified in pediatric health care. Grayson, Lee. "The History of Pediatricians." 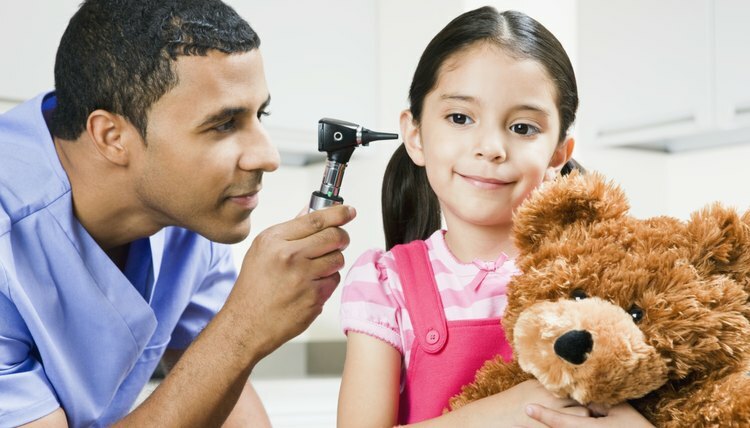 , https://careertrend.com/about-5271286-history-pediatricians.html. 05 July 2017. Do Nurses Take the Hippocratic Oath?